Five minutes drive heading north from Bermagui (South Coast of NSW in Australia) along Wallaga Lake Road will bring you to the turn off to Camel Rock. This striking rock formation was identified and named by Bass and Flinders during the first mapping of the coastline of the colony of New South Wales. Camel Rock is a popular scenic attraction and a very popular photographic spot. This image belongs to the travel and nature stock photo library. This stock photo of Camel Rock is available for licensing for commercial and editorial uses including websites, blogs, books, magazines, brochures and advertising. Restrictions may apply for images which contain third party copyrighted material or sensitive subjects. Photos of artwork are for editorial use only. 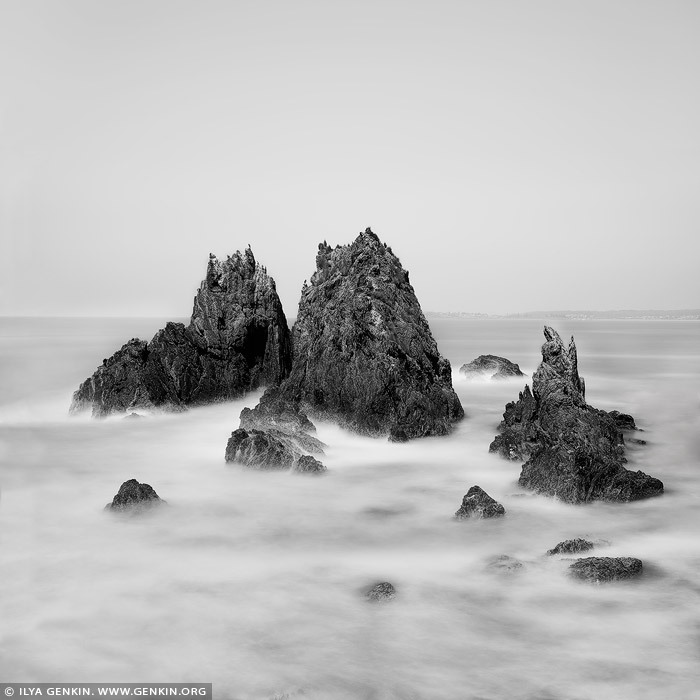 This image id AU-BERMAGUI-CAMEL-ROCK-0001 of Camel Rock, is copyrighted © by Ilya Genkin. This is not a public domain image.